The 54th Massachusetts Infantry is the best known of all the African American regiments in the Civil War. 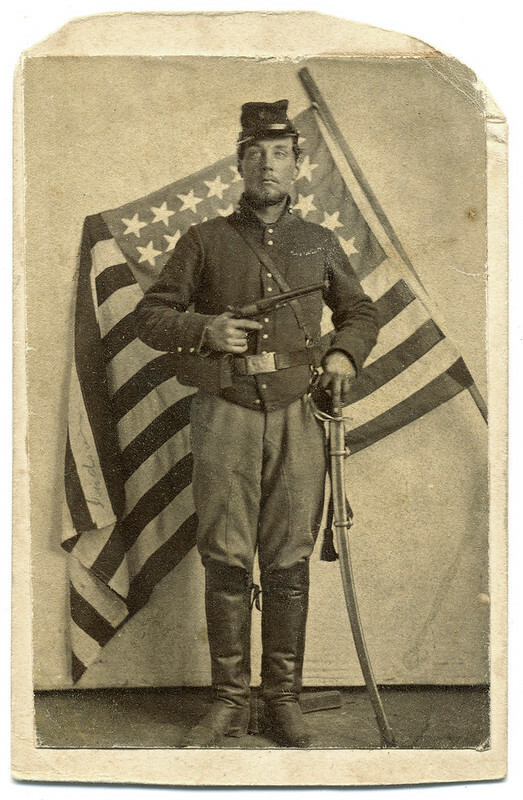 Some are aware that another African American infantry regiment, the 55th, was also organized in Massachusetts. There was also an African American cavalry regiment formed in Massachusetts—the 5th. It was one of the first Union regiments to occupy Richmond on April 3, 1865, after the city was evacuated. 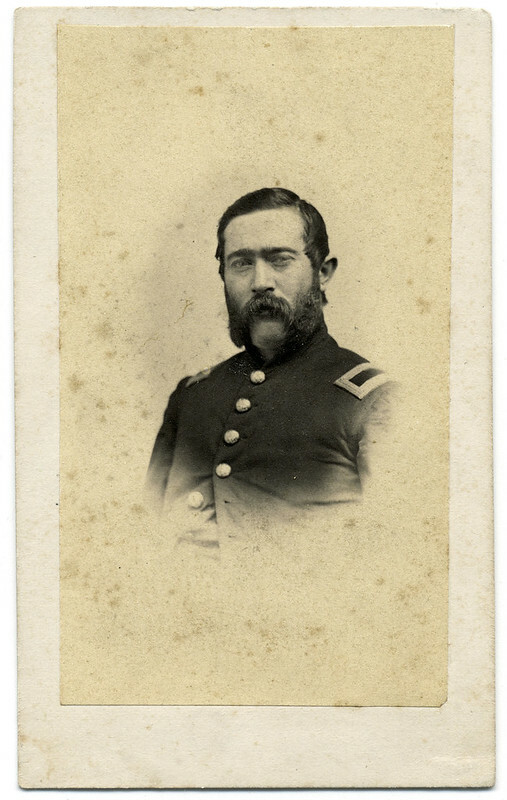 Among the white officers of the regiment who entered the Confederate capital that day was the young man pictured here, 1st Lt. Patrick Tracy Jackson Jr.
His carte de visite is new to my collection, and now available on Pinterest, Tumblr, and Flickr. PATRICK TRACY JACKSON, the oldest son of Patrick Tracy Jackson second of the name and Susan Mary (Loring) Jackson, was born in Boston, December 19, 1844, and died at Pride’s Crossing, Beverly, October 12, 1918. He was educated at the schools of Miss Ware, Mr. Sullivan, and Mr. Dixwell, where he distinguished himself in the athletics proper to his age. The Civil War breaking out just before he entered college at once became the principal interest in his life, and after an abortive attempt to go to the front with the New England Guards to defend Washington during the retreat of General Banks in the Shenandoah Valley, he showed that he was in earnest by volunteering on the hospital ship Daniel Webster in his freshman vacation. Toward the end of his sophomore year, he received a commission as Second Lieutenant in the First Mass. 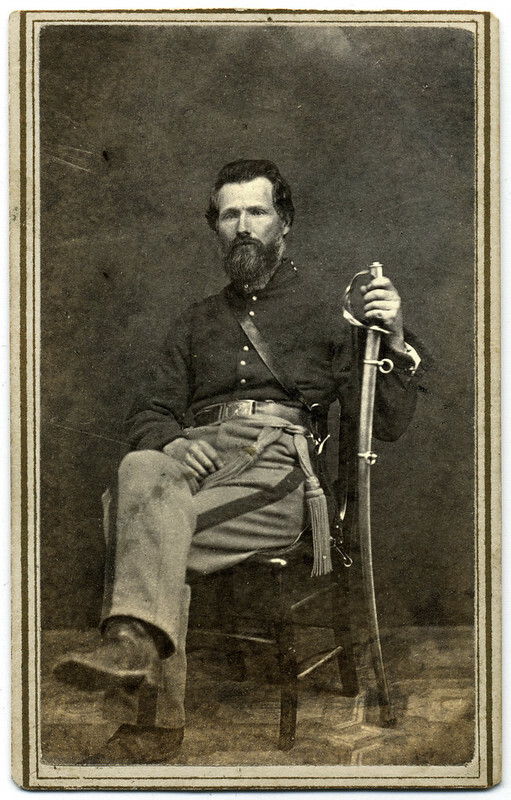 Cavalry, and joined the army during the battle of Chancellorsville. In the march from Chancellorsville to Gettysburg his regiment had only five hours sleep a day for a week, and once he was in the saddle for twenty-five hours without rest. In his entirely unacclimated state he was unable to bear such fatigue and was sent home with typhoid fever before the Battle of Gettysburg. When he returned to the front, he went through an active campaign with the Army of the Potomac for more than a year. Then he accepted a commission as First Lieutenant in the Fifth Mass. Cavalry (colored). After spending some time in guarding rebel prisoners at Point Lookout, Maryland, the regiment was sent to the front, and was one of the first to enter Richmond. After the fall of the Confederacy he was sent to Texas to guard the Mexican frontier for fear of trouble with Maximilian. When at last he got away from the army, he went into business with his father in the Hampden Mills, manufacturing ginghams and other cotton goods, and after learning the business in the mill at Holyoke, entered the office in Boston. The mill failed in 1875, and he and his father started business as cotton buyers. After his father’s death the firm, which now included his son, Arthur, took a commanding position in the buying of Egyptian cotton in the Boston market. In 1871 he married Eleanor Baker Gray; and they had four children: Patrick Tracy Jackson, Arthur Loring Jackson, Susan Loring Jackson (who married John Noble) and Frederick Gray Jackson. He lived in Cambridge until 1917 when he moved to the Hotel Vendome, Boston, for the rest of his life. He took part in the social and dramatic activities of the Executive Committee of the Unitarian Church there. He was also treasurer of the Boston Provident Association (a charitable society) and an enthusiastic member of the Military Order of the Loyal Legion. 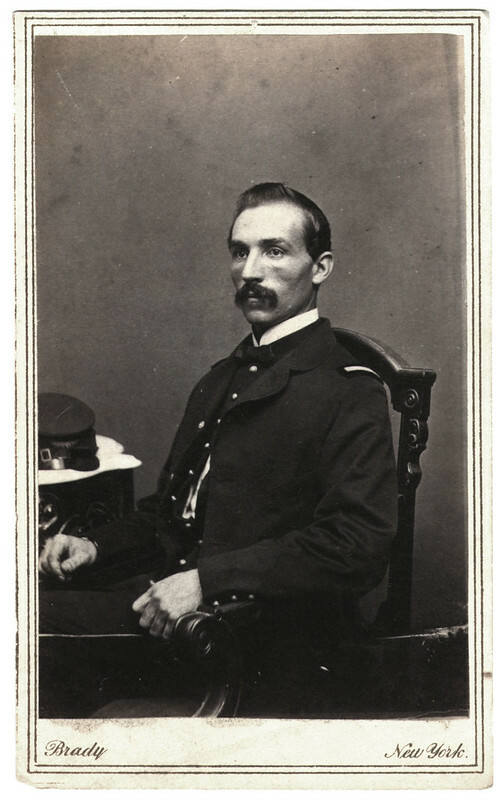 His summers were passed at Pride’s Crossing where his classmates Goddard and Tweed gave him many opportunities to gratify his strong love of yachting. For many years he was treasurer of the Eastern Yacht Club. Toward the end of his life he did a great deal of travelling, his first journeys being to South America, to Para in Brazil and later to La Paz in Bolivia, to see his son, Arthur, who was buying rubber in those places. Later he and his wife went abroad every spring, after the cotton-buying season came to an end, returning in the summer before it began again. In this way they visited the principal countries of Europe. War was declared just as they had started for home on a German steamer, which was the last to reach America. After they were cut off from Europe, they took journeys to the South and to California. In 1918 trouble with his heart developed with at last fatal results, but it interfered little with his occupations or amusements in the half-year before his death, which came instantly on the 12th of October, 1918,—an easy end of a happy and useful life. 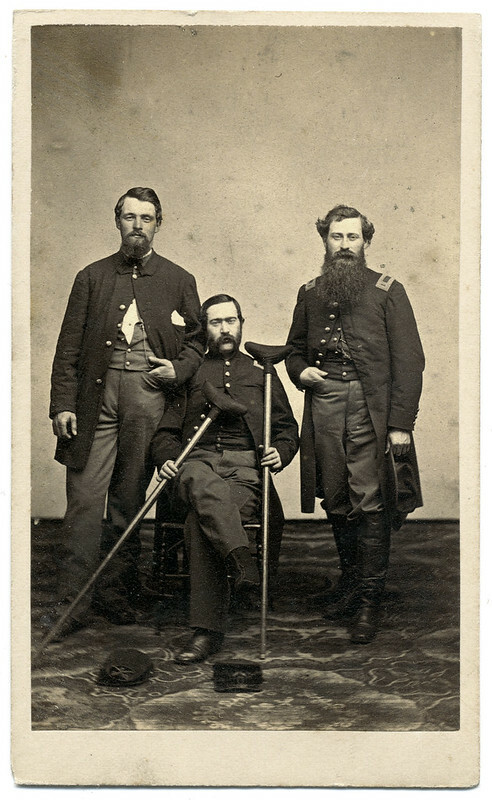 This unnamed officer suffered a foot injury during his Civil War service, as evidenced by a related image. A carte de visite by W.R. Phipps of Lexington, Ky., pictures a federal officer with a bandaged foot and a pair of crutches. He’s flanked on either side by his comrades. 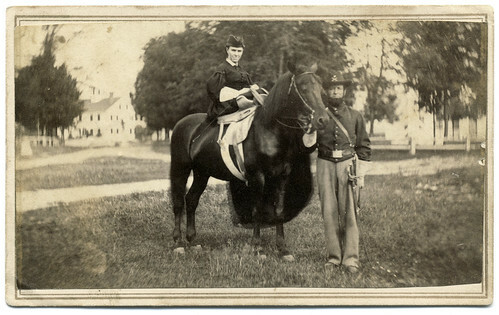 A carte de visite by an unidentified photographer, about 1862-1864, pictures a Union cavalryman holding the bridle of a horse, upon which a lady is seated sidesaddle. Dirt roads leading to a building with a cupola and another structure are visible in the background. The trees are covered in leaves, which suggests this photograph was taken in the summer. Dahlgren’s body, which had been unceremoniously dumped in a muddy grave near the place he fell, was disinterred and put on display in Richmond. “Large numbers of persons went to see it. It was in a pine box, clothed in Confederate shirt and pants, and shrouded in a Confederate blanket,” reported The Richmond Whig on March 8, 1864. While this circus played out on the streets of the capital, Kingston and his white cellmates were informed that they had been condemned to death as felons for their role in the alleged assassination attempt. “This news appeared to have a very depressing effect on Dr. Kingston,” noted Lieutenant Bartley, a fellow prisoner. Kingston’s cough and cold worsened, and he lost his appetite. On March 21, as he lay near death, the Confederates removed him from his cell and sent him North. He survived the trip home, and with good food and care came back to life. He eventually returned to the regiment, was promoted to full surgeon, and served in this capacity until the end of the war. Samuel Tilden Kingston, it was said, was not the same man after Confederates captured and imprisoned him in Richmond’s Libby Prison. 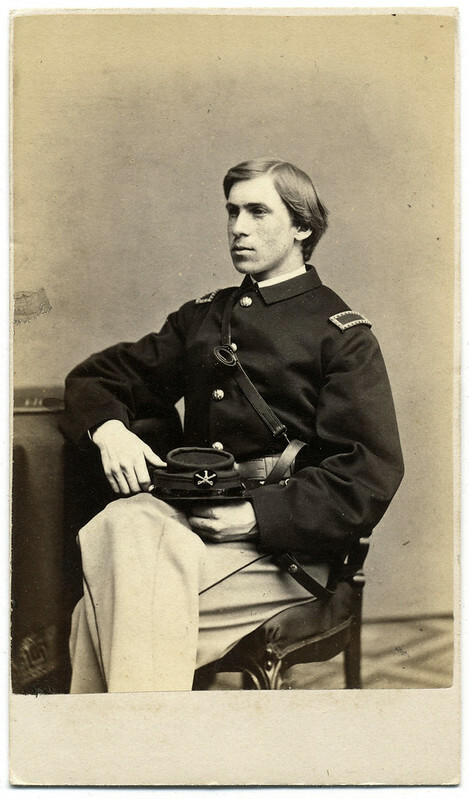 The assistant surgeon of the Second New York Cavalry, he fell into enemy hands on March 1, 1864, during Union Col. Ulric Dahlgren’s failed raid on Richmond. Kingston was locked up in a basement dungeon of Libby and treated harshly by his captors. 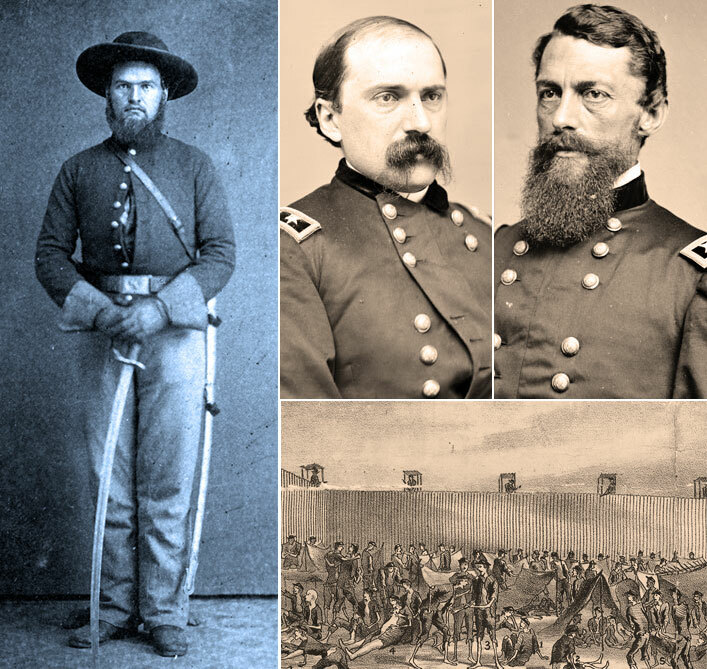 Conditions turned from bad to worse when papers ordering the assassination of Confederate President Jefferson Davis were reportedly discovered on the body of Dahlgren after he was killed. Kingston was released after a short time in confinement, and he later returned to his regiment. He survived the war and became a physician and druggist in Oswego, N.Y. According to a document in his pension file, Kingston was “a very odd & peculiar person.” His wife also noted that he was peculiar with respect to arranging his financial affairs. Kingston died in 1889 at age 53. 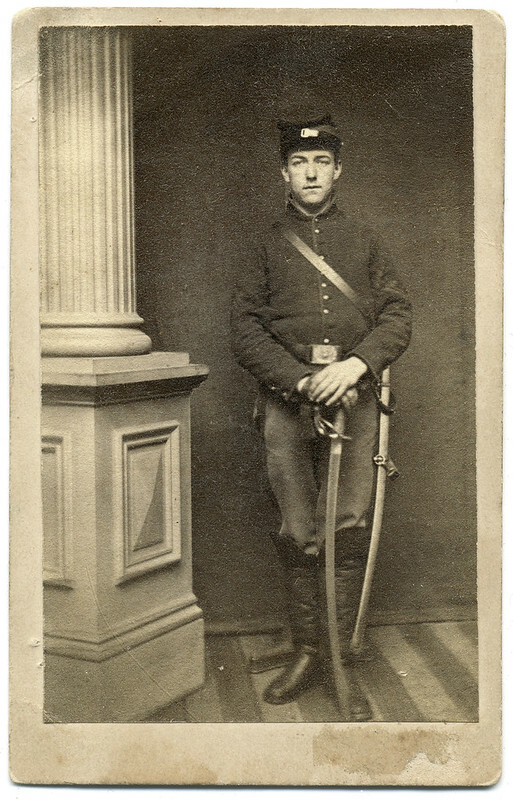 A richly toned carte de visite by Philbrook’s Gallery of Detroit, Mich., pictures a cavalry soldier who sits with legs crossed and saber at his side. A revenue stamp on the back of the mount dates this image from 1864-1866, during which time the federal government taxed photographs and other items to pay for the Civil War. The state of Michigan organized eleven regiments of cavalry during the war. Four of these regiments, the First, Fifth, Sixth and Seventh, composed the Michigan Brigade, also known as the Wolverines. 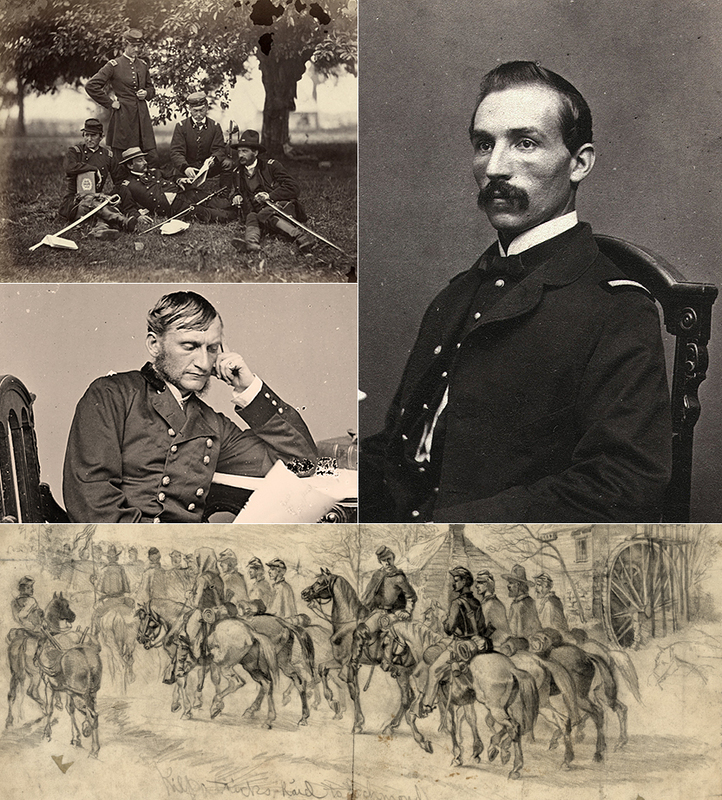 Commanded for a time by Gen. George Armstrong Custer, the brigade distinguished itself during the Battle of Gettysburg and other campaigns with the Army of the Potomac.